Tree Clinic Surrey are based in Woking, Surrey and cover Walton-on-Thames. We are Fully Qualified and Insured. 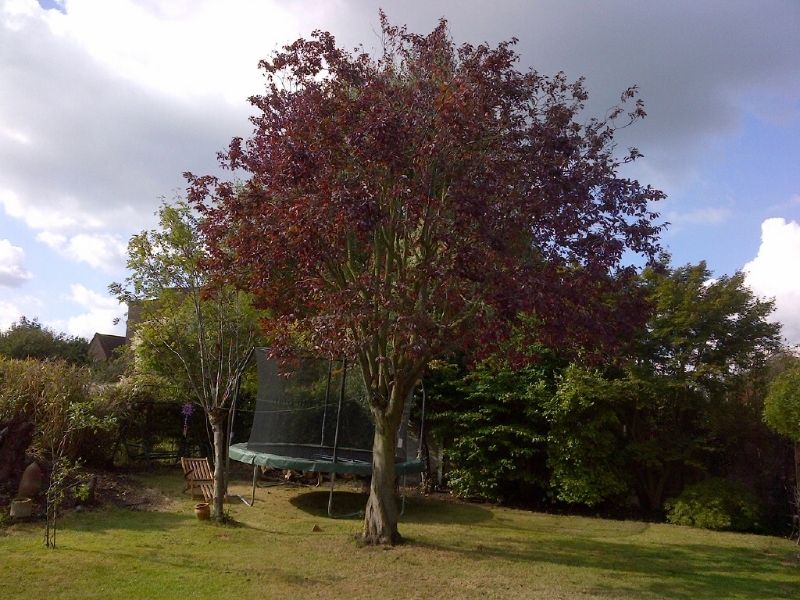 Lisa contacted Tree Clinic Surrey as she wanted to have her Purple Plum Tree in Walton On Thames looked at. She had a problem with shading as it was directly in line with the afternoon sun and her conservatory. Rather than removing the tree as it was in good health, we suggested a reduction and thining of the crown. This allowed light through the canopy and the tree still looked great. It is best to carry out these works every 2-3 years, thus reducing the amount you have to cut off the tree each time and enabling you to get good results. The time of year to cut plum trees is either early spring for young trees or mid-summer for more established examples, this reduces the chance of Silver Leaf Disease. It was a small job but needed much care and attention to make sure that an aesthetically pleasing shape was achieved. See the pictures below of the works. 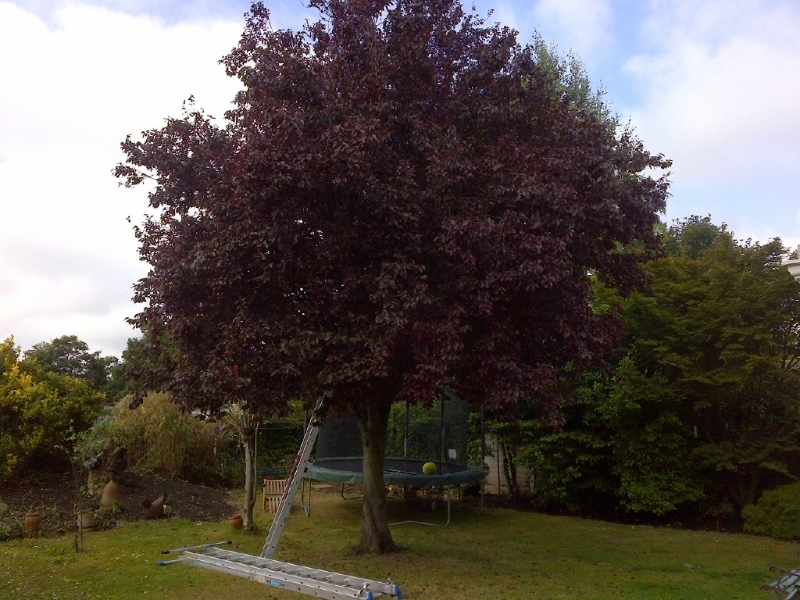 "We got in touch with Andrew via checkatrade we needed a dead tree taken down, another one lopping and removal of another. Our experience of the company has been very positive. The work was carried out professionally and the team were clearly serious ..."